Australia has reclaimed the Cormac McAnallen Trophy in dramatic fashion, winning the 2017 International Rules Series in warm, partly cloudy conditions in Perth on Saturday. It was an exciting clash, with tempers flaring periodically and 30,000-plus spectators coming down to Subiaco Oval one last time to catch a contest. Joel Selwood was reported for high contact, causing a melee shortly right before halftime; the Geelong star was sent off with a black card with Ireland holding to a 13-point lead. The Irish were able to use accurate kicks and quality defensive pressure early on to hold Nat Fyfe and Patrick Dangerfield. Once again, Michael Murphy and Conor McManus were the major stars for the visitors. But halfway through the third quarter, the Aussies stormed back, aided by a huge mark from Fyfe and some classy plays from Dayne Zorko, who continued his excellent pressure from the first test match and also ended up scoring the game-winning over as well. Kade Simpson shined in the first game and continued to control the pace for Australia from half-back. McManus and Murphy combined to score seven overs and finish one-two in Ireland’s best-on-ground voting. In addition to Zorko’s three overs, Eddie Betts had two and Chad Wingard, Ben Brown, and Zach Merrett scored as well. Chris Barrett and Gary Brennan kicked the lone goals of the match for Ireland, but the Aussies prevailed by a score of 53-50 in the end. Fyfe earned the Jim Stynes Medal as the best and fairest in the series. Fans from both countries loved the second test, and Australia coach Chris Scott was no different. In his post-match press conference, the Geelong head man suggested that the 2019 edition of the IRS should be three games rather than two, while Ireland coach Joe Kernan also mentioned that he was excited for the future and hopes that the series will continue to evolve and grow. AFL CEO Gill McLachlan has expressed a keen interest in staging the 2018 or 2019 test matches in the USA -- presumably in a city like New York, Boston, or Philadelphia due to the strong Irish-American presence in those places. “That may be the next step, but we’ll talk to the Irish and work it out from here. "I know there's skeptics, but we're keen to keep it going and push it forward...it's worth doing," stated McLachlan. “I think the potential for the game is huge,” added Scott. AFL national/international talent manager Kevin Sheehan also had high praise for the 2017 IRS. 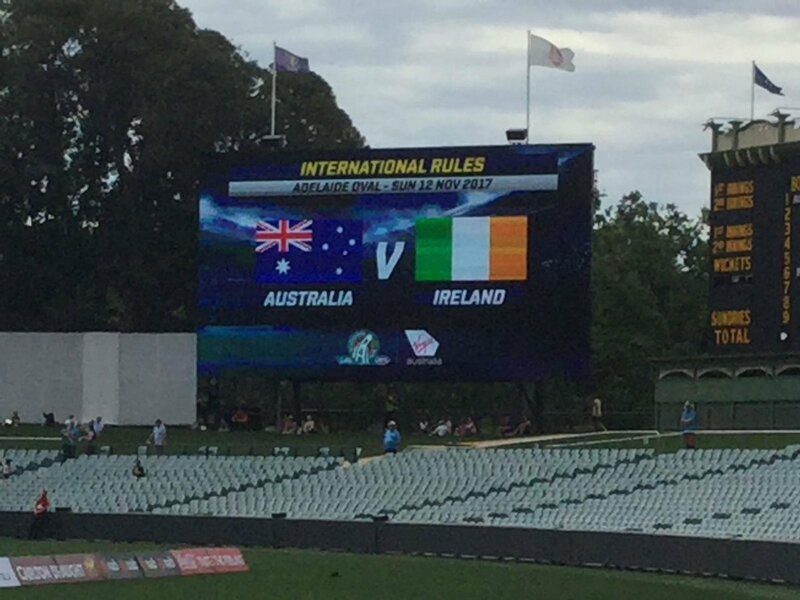 “We felt it may be the best we've ever seen between the two countries,” stated Sheehan, who also said that selecting a squad from the All-Australian team was key to the IRS’s success this year. "There have been some great ones over the years, but this may have been the best, where every element was showcased."